Uncle Oogie's, a popular pizza place with locations in Sea Isle City and South Philly, will celebrate Free Vegan Pizza Day on Nov. 30. At both Philadelphia locations, 10-inch vegan pies will be free from 10 a.m. to 10 p.m.
Those who want to take advantage of the offer (one free pizza per order) will need to either pick-up or dine-in. The deal won't hold up for delivery. 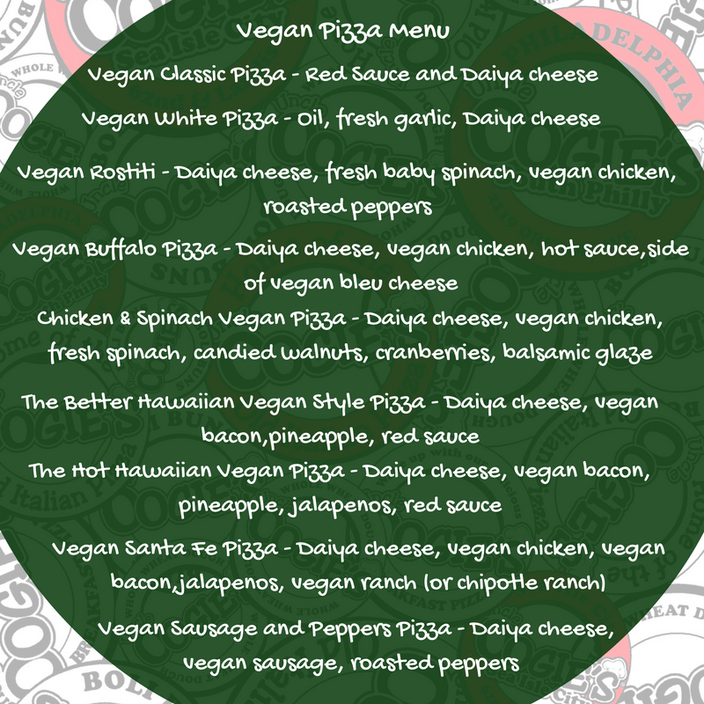 Here are the vegan pizza options. The vegan pies come on either regular or wheat dough. The giveaway is in honor of the pizza place adding a vegan menu to its Philadelphia locations.